My top ten places to visit in South East Asia | Blog the world!!! 1. The Elephant Nature Park. It felt like a luxury* package holiday… Just one where you shovel elephant poo and see tons of elephants! 2. 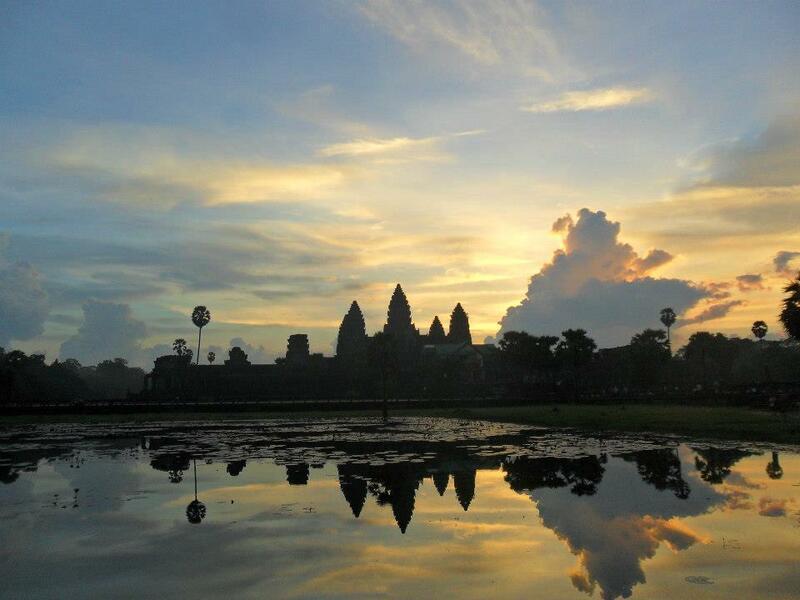 Cycling around Angkor Wat – Not only are the views amazing but you’ll enjoy the ride too. Still you don’t get quite the same quantity of information as you would with a tuc tuc driver to guide you. 3. Phnom Penh and the killing fields – heartwarming and devastating, the killing fields will change your outlook on life. And your view of the illogically disorganised Cambodian people. They are starting from scratch to build up a country and communities, without the help of the thousands of educated people who were wiped out. 4. Bun cha and 5p beers in Hanoi – hot tangy pork soup with a big plate of noodles on the side, need I say any more. And if you happen to find crispy spring rolls too, they are the best I’ve ever eaten. 5. Kampot pepper – never did I think I would miss a condiment**! But it is a key ingredient and one which creates truly the best food in Asia. 6. Riding a motorbike and snorkelling in Koh Tao – whilst I would still always recommend Cambodia for both these things, I loved touristy Koh Tao. It felt like a beach holiday… Of course this meant we went over our budget significantly but it was still a great place to visit… Even if you’re not diving. 7. Chiang Mai Sunday market and amazing street food – I could have spent a week exploring those stalls. 8. Cambodia’s laidback*** coastline and beautiful islands including rabbit island, bamboo island and Koh Rong. 9. Exploring Kampot province by motorbike in Cambodia and relying on the ever friendly but non-English speaking locals to help us get where we were going/ fix the afore mentioned bikes. 10. The weather. This one sort of excludes Hanoi for three months of the year, but the weather in south east Asia is generally warm and sunny except for the odd monsoon of course. As you can probably tell I love Cambodia, but I think Vietnam would have rivalled it had I of stayed longer. I also think I could have found some extra highlights if I’d visited a few other countries****. Last time I travelled, I loved the jungle train through Malaysia and Tim loved the Battaman Caves in Kuala Lumpur. Neither of us loved Malaysian cuisine… Far too much fish sauce. *the term luxury is of course open to interpretation and I can therefore take no responsibility for any shock caused by arrival at the park and the basic but authentically romantic huts. **and I really do miss it. Regular pepper just doesn’t have the same intensity or kick. ***or party fantastic if that’s what you’re looking for. ****I’ve heard great things about Borneo.